G. Atukkapary continues his family tradition regrouping the second generation of Runa Pacha band. 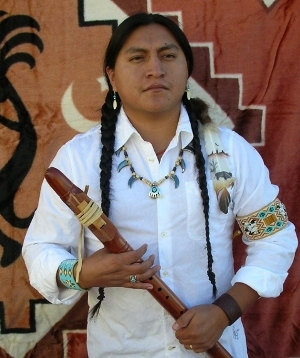 His efforts for preserving his ancestors and past generation music traditions has made him possible to focus in mastering all the different musical instruments from the South and North American Native cultures (the flutes). G. Atukkapary is a graduate student from LDS Business College and is responsible for all the arrangement and recordings of the different albums that Runa Pacha has released.